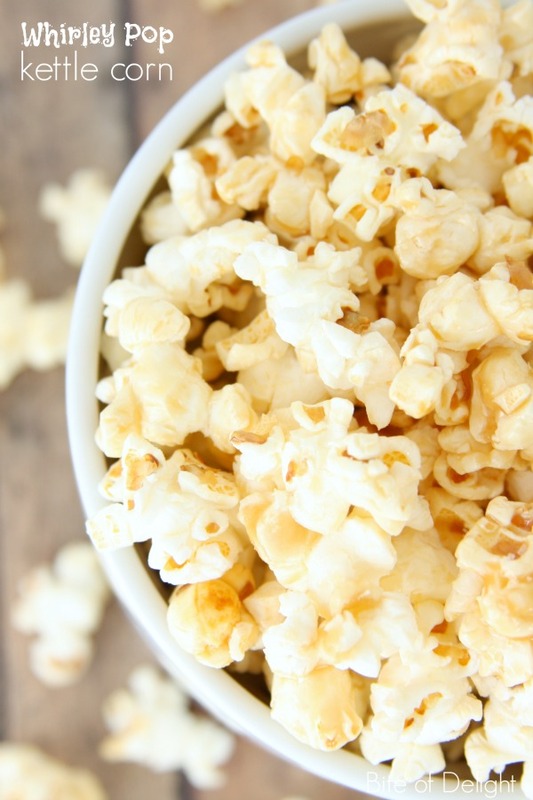 Whirley Pop Kettle Corn is our new family obsession. It’s so easy to make, and it’s amazingly delicious! It takes simple ingredients that we always have in the pantry, so we can whip this up any time for movie night, games with friends, or even a little treat to send to a neighbor. It takes about 10 minutes to make a batch, so it’s not as fast as microwave popcorn, but it’s SO much better that you won’t even mind the extra few minutes. And then you don’t have to worry about the weird chemicals in the microwave packaging. And if you don’t have one of these poppers, I definitely recommend getting one. I think it’s replaced our previous favorite stir-popper, which I never thought would happen! I haven’t ever tried to make kettle corn without the Whirley Pop, but if you do try it with a regular pan on the stove, drop me a line and let me know how it works out! Place the Whirley Pop over medium to medium high heat. Add the coconut oil and popcorn kernels. Stir. (At this point I don’t stir it constantly because I’m scooping the sugar, but I do stir frequently). When the oil and kernels are sizzling, add the sugar and vanilla, close the lid, and stir constantly. Continue stirring as it pops, for as long as you can (once most of the kernels are popped, I can’t stir anymore). Remove from heat, pour popcorn out onto a rimmed cookie sheet, sprinkle with salt, toss and serve. Enjoy your new favorite Whirley Pop Kettle Corn! 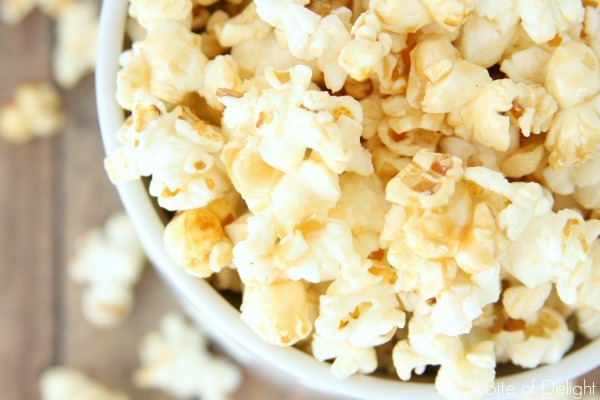 Vanilla is typically added once the heat is turned off or down (or the pan is removed from the heat), but I’ve tried making this kettle corn both ways, and we definitely prefer adding the vanilla in first. Because vanilla extract has a high alcohol content, some of the flavor can cook out with the heat, which is why it’s usually added last. Even with that in mind, it’s just a better, smoother flavor to add it in with the sugar. Probably because it’s more evenly distributed over the popcorn. I have used different sugars and spices in the kettle corn, and we keep going back to this basic recipe. It’s our favorite, and we make it all the time! If you want to add spices, I would recommend adding them to 1 Tbsp melted butter and tossing it over the popcorn once it’s popped. I use a scant 1/2 cup of kernels because the Whirley Pop gets overfull once the corn is popped, if I use more than that. 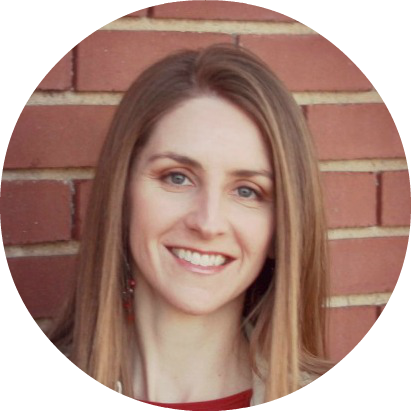 Chocolate Covered Strawberries and a Mother’s Day GIVEAWAY! These popcorn look A.M.A.Z.I.N.G!!! 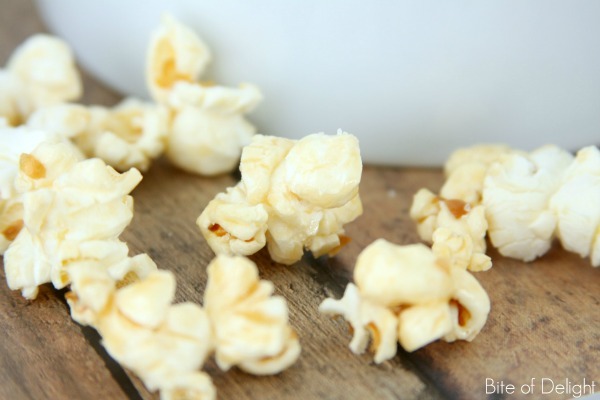 We love kettle corn as well and have a very similar recipe for them! The vanilla is something that was missing… I must try next time I make them! Thanks for sharing Becky! Thanks Michelle! We never looked back after we tried the vanilla on a whim! Everyone that tries it really can’t get enough. Thanks for stopping by! We love our whirly popper. Can’t wait to try this recipe. We only ever just do oil and salt! So boring. This is one of our favorite go-to treats, it turns out perfectly every time! We usually make two batches because we kind of inhale it! So our family is OBSESSED with popcorn. I received a cool popper last year as a gift and we have loved it, but my kids miss the kettle corn. This sounds super easy AND delicious! I will by trying this very soon! Thanks! Hi Kirsten! This is one of our very favorites!! Last week I tried adding in a little extra sugar and we liked it even better, so I think I’ll update the recipe! Hope you love it! !